The main religion in Tibet is Tibetan Buddhism. There’s many monasteries in Tibet, if not for the destruction done during the Cultural Revolution, there would be more. The effects of the Cultural Revolution left about 6000 monasteries and nunneries destroyed, religious artefacts and scripts burned, monks and nuns imprisoned. Now, only a handful and the famous one are allowed to physically remains and restorations are thus allowed on these. During our 13 days in Tibet, on average, we visited one a day. A bit over-dosed on monasteries at the end of the trip but I must say some monasteries were really magnificent. Go in the early morning and you will see pilgrims doing their kora round the monastery, murmur of mantras and carrying flasks of yak butter for butter lamp offerings, oh and yes, all monasteries all smell thick with yak butter. 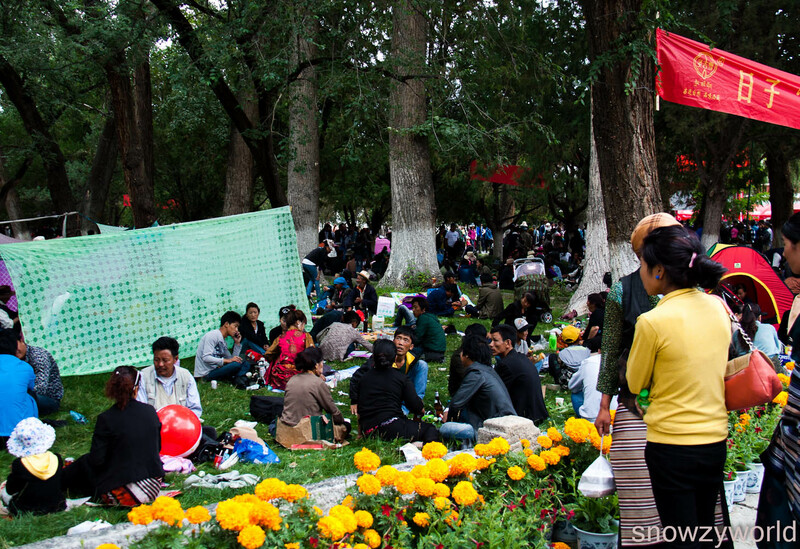 Our first stop in Lhasa was the Jokhang Temple at Barkhor Square. 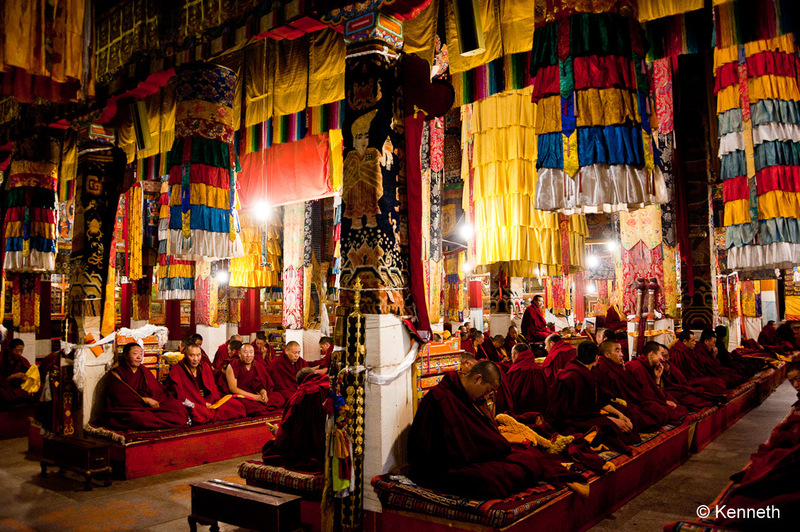 A spiritual centre of Tibet and the destination of millions of Tibetan pilgrims. The outer courtyard and porch of Jokhang are usually filled with pilgrims making the full-length prostration towards the holy sanctum. It was constructed by the founder of Tibet – King Songtsen Gampo in probably AD 642 to house an image of Akshobhya brought to Tibet as part of dowry of his Nepali wife, Princess Bhrikuti. It also houses the original gold statue of the 12 years old Sakyamuni, brought from Chang’an by the king’s Chinese wife, Princess Wencheng. It’s our first encounter with a Tibetan monastery and pilgrims. It was already over-whelming from this first visit. Sera is situated north of Lhasa, it is one of the 6 great monasteries of the Gelug Sect (yellow hat) of Buddhism in Tibet. It was built by Sakya Yeshe, one of the disciples of Tsongkhapa in 1419. It once housed 5000 monks which now are reduced by almost 90% and we see repairs to the buildings are still on-going. We were here mainly to view the Buddhism scriptures debate by the monks which take place during the weekdays between 3-5pm. Mock debates in ritual way are staged for the monks to prepare for their monastic exam. At 3pm sharp, the door to the debating courtyard opened and tons of tourists rushed in to chope a good spot. 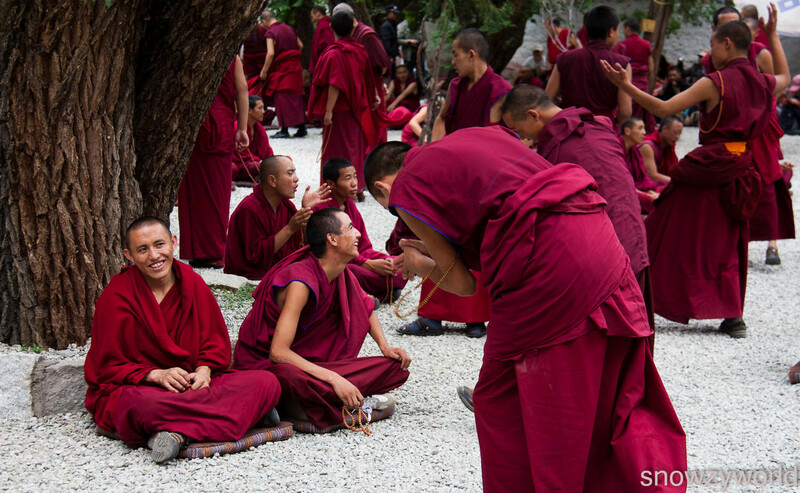 Monks, some will sit cross-legged under the trees where some will pose questions to them and giving a vigorous hand clap to end a statement or to make a point. I wondered how concentrated can the monks be. Other than the hand clapping, camera shutter sound filled the courtyard. Tourists roamed the area like vultures. We did not stay long (since we don’t understand), left after taking the “obligatory” photos. 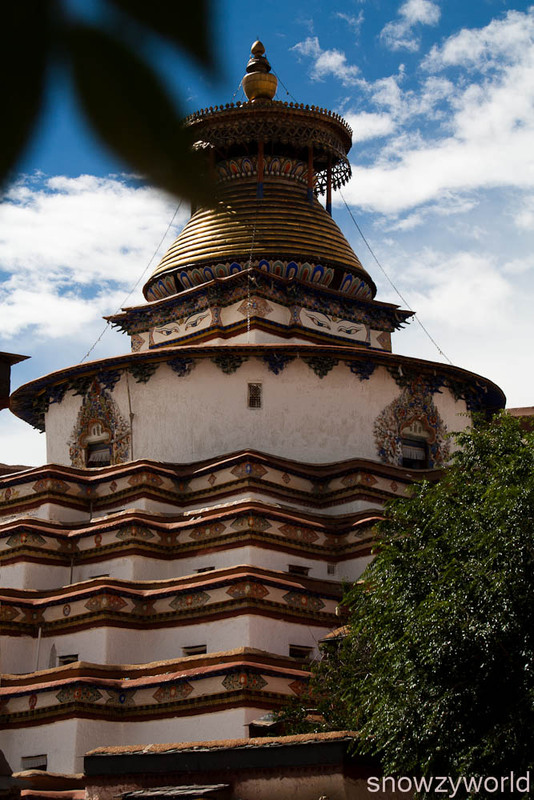 One of the must-see, located in Gyantse. 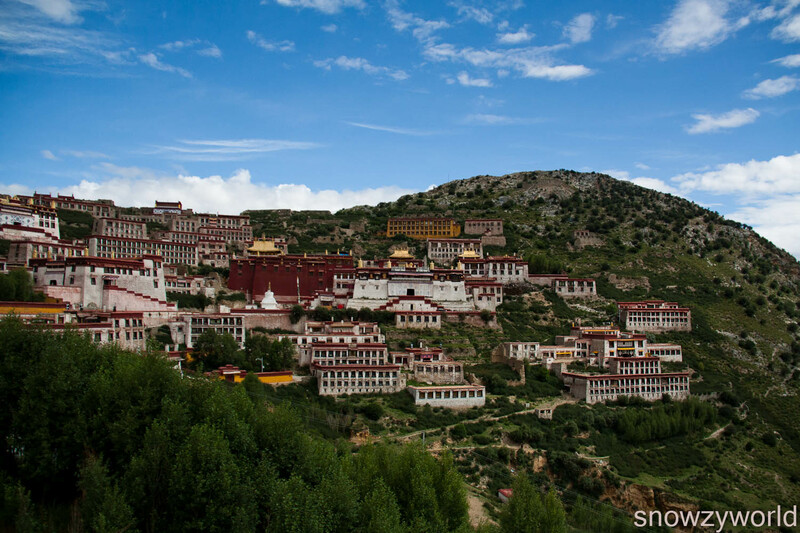 Founded in 1418, Pelkor Chode Monastery was once a compound of 15 monasteries of 3 different orders of Tibetan Buddhism (like our multi-racial?) — Gelugpa, Sakyapa and Buton. We arrived in Gyantse in the late afternoon thus it was one of those rare occasion where we get to view the monastery in peace (i.e. no irritating & loud Chinese tour guide with their Chinese tourists), thus it’s also possible for better chapels photography which we paid RMB10-30 for each chapel. The Gyantse Kumbum is a 35m tall choten commissioned by a Gyantse prince in 1427. We entered the Kumbum and follow a clockwise route that will lead us up through to the 6th floor (thou we did not see any stairs to the 6th). There are tiny chapels on each level housing statues of buddhas, deities, kings of Tibet. 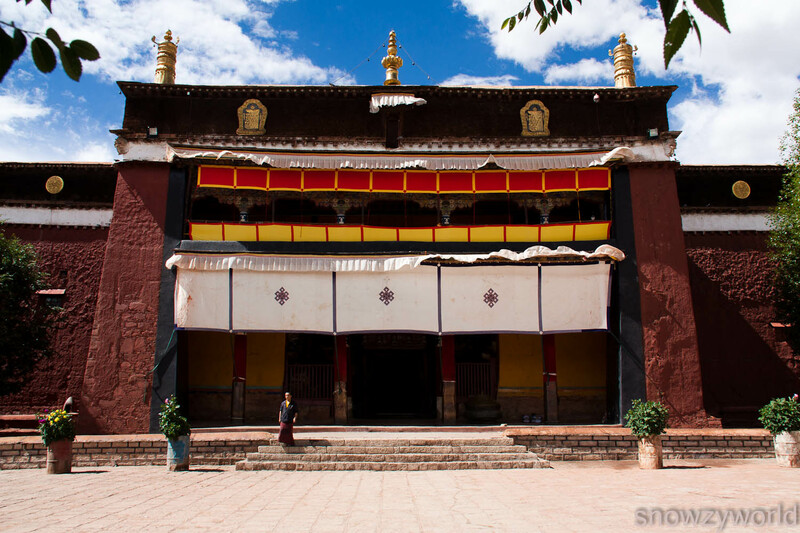 A culturally important monastery in Shigatse. Founded in 1447 by a disciple of Tsongkhapa, Genden Drup. 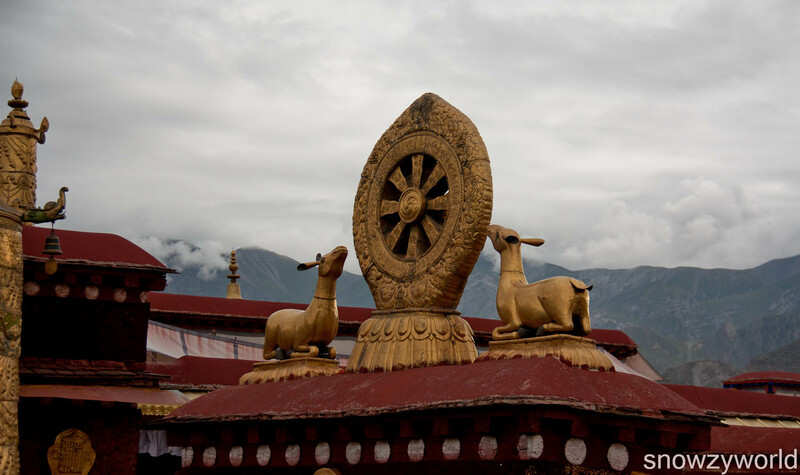 Tashilhunpo monastery is also the traditional seat of the Panchen (great scholar) Lamas, who are second to the Dalai (wisdom of the sea) lamas in the Gelukpa tradition. Here, you see the chapel which house the world’s largest gilded statue – a 26m figure of Jampa (Maitreya), the Future Buddha. This statue was made in 1914 under the 9th Panchen Lama and took 4 years to complete. There’s also individual chapels housing the tomb of the 10th and 4th Panchen Lama and 1 chapel for the tomb of the 5th to 9th Panchen Lama. Kora can be made from the monastery up the hills and it took 1 hour to complete. We visited this monastery when we were climbing up the Sheger Dzong (fort) in a hope to catch a glimpse of the peak of Mt Everest (Known as Qomolangma in Tibet). This is a small Gelukpa institution built in 1269. At the height of its power, there were around 800 monks, but now it remains about 30. The young monk brought us around the monastery explaining to us the statues (of cos with translation from our guide) than he gave us each a red ribbon for blessing. We are supposed to wear it (which later we tied it to our bag) for 3 days than tied it at the highest place. This was not in our itinerary initially but because of the cancellation of the Nakchu horse racing festival, we gained an extra day. Instead of refunding us the money for the 1 day usage of the land cruiser, the agency arranged for us to Ganden Monastery and Drak Yerpa, 50km and 16km northeast of Lhasa. Travelling along the Kyi-chu valley, the car drove up the winding road to Ganden. At 4300m above sea level, a short walk up to the monastery from the car sent me breathless and slight giddiness (I wonder is it because I’ve fully digested my breakfast). Ganden, however provide superb view of the surrounding Kyi-chu valley. From here, you may also trek to Samye for about 3-4 days amidst lakes, alpine landscapes, herders’ camps and sacred sites. 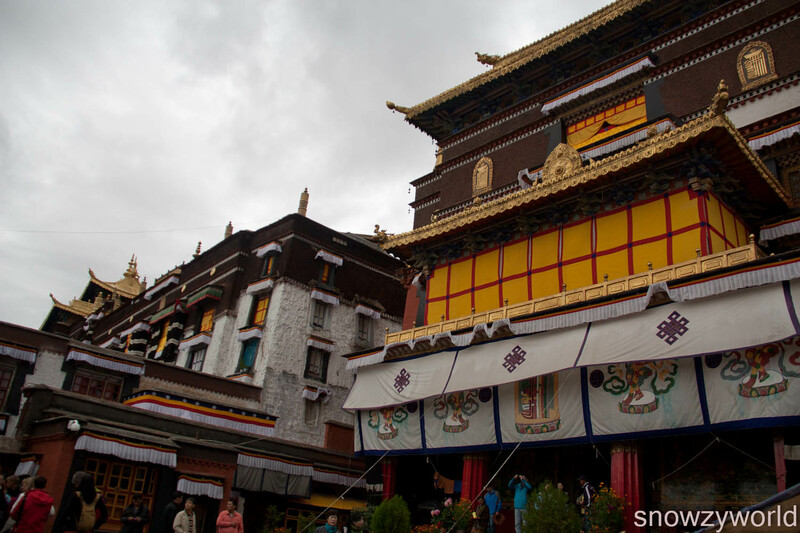 Ganden Monastery is the first Gelukpa monastery and has been the main seat of this major Buddhist order since. 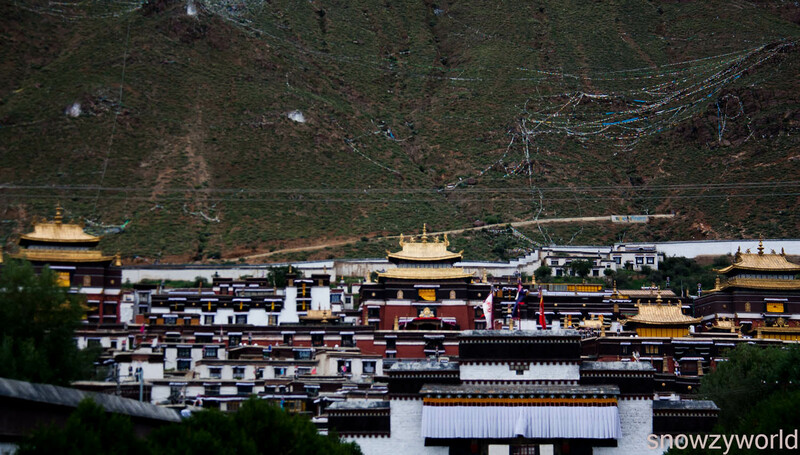 Founded by Tsongkhapa in 1409, Ganden suffered the most during the Culture Revolution due to its political influnce. Today there left only 360 monks (or less) as compared to 2000 previously. The original tomb and the preserved body of Tsongkhapa were destroyed by the Red Guards. Now only fragments of Tsongkhapa’s skull are housed in a new chorten. There’s a protector chapel here where the 3 main Gelukpa protectors sit (Choegyal, Dorje Jigje and Palden Lhamo). Women are not allowed in this chapel. A monk was inside the chapel during our time of visit and hitting on the drum, on hearing the thumping of the drum gave me a bad headache. At another section which houses the throne of Tsongkhapa, pilgrims get thumped on the head with the yellow hat of Tsongkhapa and the shoes of the 13th Dalai Lama, for blessing. On the day of our visit, we were lucky to also attend the daily assembly of the monks. It was funny that I saw more foreigners here than Chinese and it’s the only monastery that we visited where there’s no hike in the entrance fee. 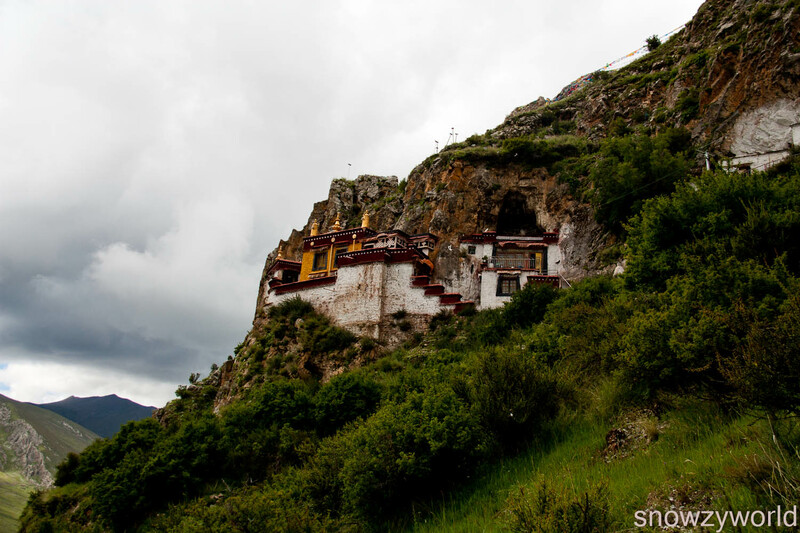 At an elevation of 4885m, it consists of several meditation caves where King Songtsen Gampo had meditated. It was said that Guru Rinpoche or Padmasambhava had meditated and practised tantric yoga in the cave too. Climbing up a flight of stairs, we visited the caves in clockwise direction. At one of the cave, following the other pilgrims, we squeezed through a hole in the rock wall, it was said that no matter whether you are thin or fat, if you are a good person, you will squeezed through easily. Well, we are all well-behaved so no difficulties for us. At one of the highest point, we also tie the red ribbon (previously given to us by a monk) on the trees. One of the great three of the Gelukpa. Founded in 1416 by another of Tsongkhapa’s disciple – Jamuang Choje. Our purpose here was mainly to attend the Shoton Festival (雪顿节), so we did not visit the chapels there. See post on The Ordeal at the Shoton Festival. 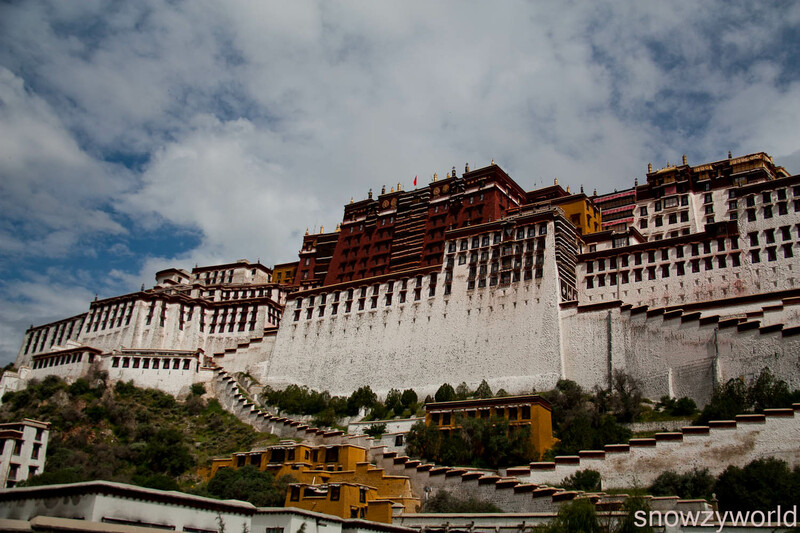 Potala is one of the great wonders of world architecture and easily the landmark of Lhasa. Upon our arrival in Tibet, the first building that greeted us was the Potala. The 5th Dalai Lama started the construction of the palace and was the chief residences of the Dalai Lamas until the 14th Dalai Lama fled to Dharamsala, India during the 1959 Tibetan uprising. 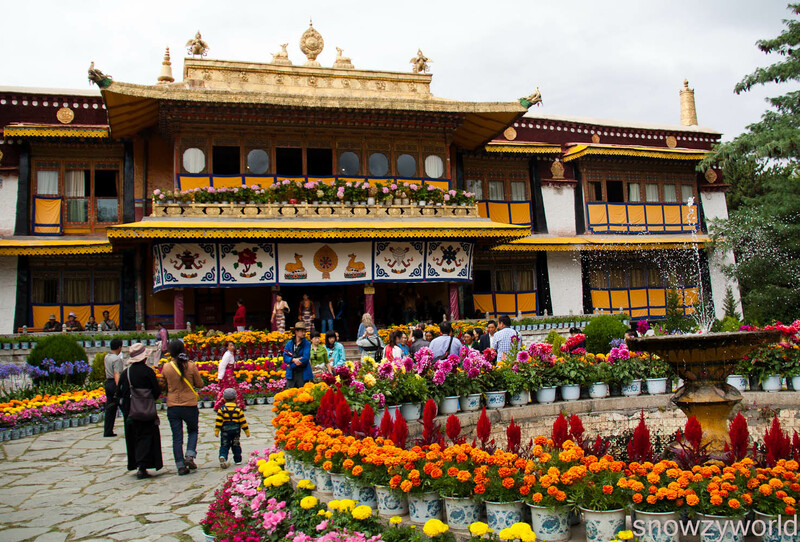 Today, it serves like a museum and houses the tombs of 8 Dalai Lamas. The Potala limits the number of visitors daily and you will need to make a reservation the day before your visit. If successful, you will receive a slip indicating the timing for you to visit. The next day, you will need to arrive at least 30mins before your alloted timing. After you’ve climb up the many steps you will reach the entrance to the main palace and you will buy your entrance ticket here. This is the summer palace of the Dalai Lamas. If not for the Shoton Festival, we’ve no intention to visit. 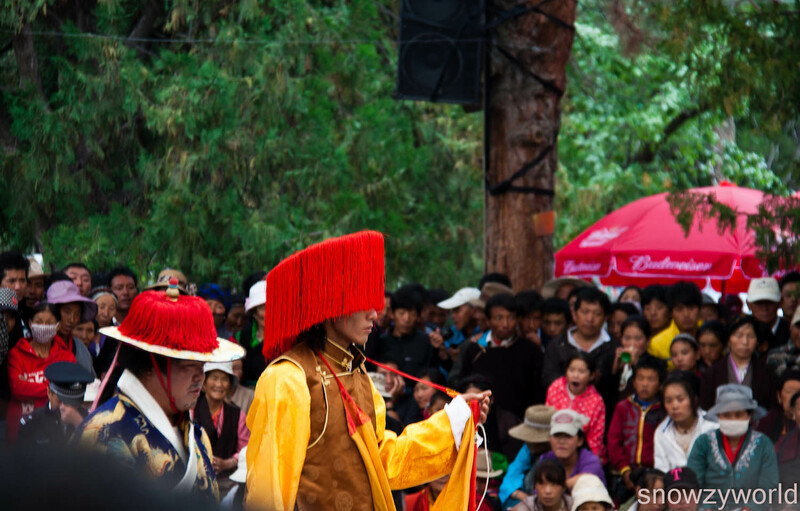 After the visit at Drepung, Tibetan will proceed to the Norbulingka for picnics and traditional Tibetan opera performances. Guess the most interesting of the Norbulingka is the new summer palace built by the present Dalai Lama (14th Dalai Lama) where in 1959, the 14th Dalai Lama made his escape from the Norbulingka disguised as a Tibetan soldier. Here we saw the Dalai Lama’s audience chamber where on the wall are murals depicting the history of Tibet and the mythical beginning of the Tibetan people. They believed that they are the union of a bodhisattva and a monkey in the Sheldrak cave. Than there’s the Dalai Lama’s private quarters which is still very well maintained and the assembly hall which he would address heads of states.